Stanton, renown for Wilton broadloom, offers The Wilton Gallery to only the finest showrooms across the country. The Wilton Gallery is a comprehensive collection of beautifully designed 100% wool wiltons. In addition to the Wilton Gallery, Stanton offers a vast array of wiltons including The Signature Series and The Artiste Collection. Stanton also produces a number of high quality 100% wool tufted, flat-woven, as well as wool blends and synthetic products. 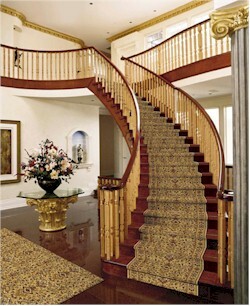 Always ahead of the curve, Stanton is consistently recognized for supplying uniquely decorative carpets.